There seems to be a stereotype that religious people, and especially religious women, are particularly attractive and healthy. A number of popular articles and social media pages discussing this observation can be found online (Malloy, 2017; Hewitt, 2010, p. 99) including threads beginning with questions such as “Why are Mormon girls so hot?” (Yahoo Answers, 2008) and “OMG … why are Christian woman so extremely (physically) attractive?” (Yelp, 2010).2 Several passages in the Bible seem to suggest that those who intensely fear Yahweh are more disease-resistant (Deut. 7:15) and are more physically attractive (e.g. I Samuel 16:18). Those inspired by other gods or by Satan are, in contrast, autistic (Mark 9:25) and even left-handed (Matt 25: 41). Why should the authors of these books believe this to be the case? It could, of course, be a way of idealising the virtuous, but it is not clear that all of these features were the most pertinent for that purpose. The Mutant Says in His Heart, “There Is No God”: the Rejection of Collective Religiosity Centred Around the Worship of Moral Gods Is Associated with High Mutational Load. It’s really hard to go any further. Professor Shane O’Mara named it a contender for the worst scientific paper of 2017.
worst: https://t.co/Ma4Z2Lr4Z7 atheists are mutants! I think you lucked out….go to a heavily Christian city in middle America and the church populace will look more like peopleofwalmart.com (is that the right site?). I don’t think their looks is attributed to religion, you just happened onto a group of good-looking women. It can happen anywhere. 3 The author of the gospel of Mark must have discovered autism, then. 4 I asked the journal about this, but didn’t hear back. You don’t have a Christmas edition of joke papers like BMJ, do you? Dutton E, Madison G, Dunkel C. (2017). The Mutant Says in His Heart,“There Is No God”: the Rejection of Collective Religiosity Centred Around the Worship of Moral Gods Is Associated with High Mutational Load. Evolutionary Psychological Science. pp. 1-12. First Online: 20 December 2017. 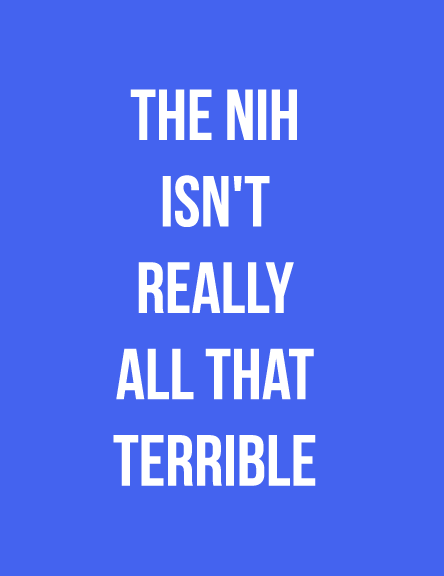 Reduces the National Institutes of Health’s (NIH) spending relative to the 2017 annualized CR level by $5.8 billion to $25.9 billion. 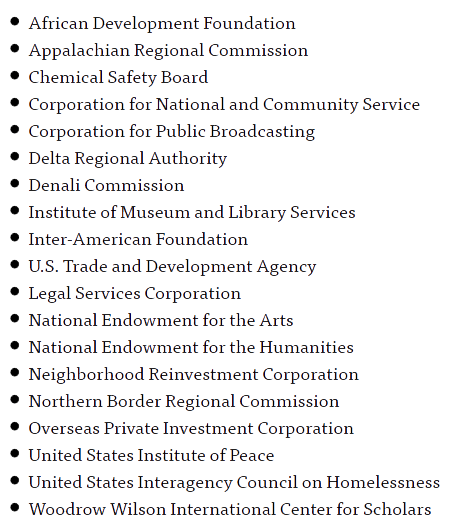 [NOTE: this is a 19% cut from current budget of $30.3 billion.] The Budget includes a major reorganization of NIH’s Institutes and Centers to help focus resources on the highest priority research and training activities, including: eliminating the Fogarty International Center; consolidating the Agency for Healthcare Research and Quality within NIH; and other consolidations and structural changes across NIH organizations and activities. The Budget also reduces administrative costs and rebalance Federal contributions to research funding. Eliminates $403 million in health professions and nursing training programs, which lack evidence that they significantly improve the Nation’s health workforce. [NOTE: Where is this evidence?] The Budget continues to fund health workforce activities that provide scholarships and loan repayments in exchange for service in areas of the United States where there is a shortage of health professionals. Invests in mental health activities that are awarded to high-performing entities and focus on high priority areas, such as suicide prevention, serious mental illness, and children’s mental health. 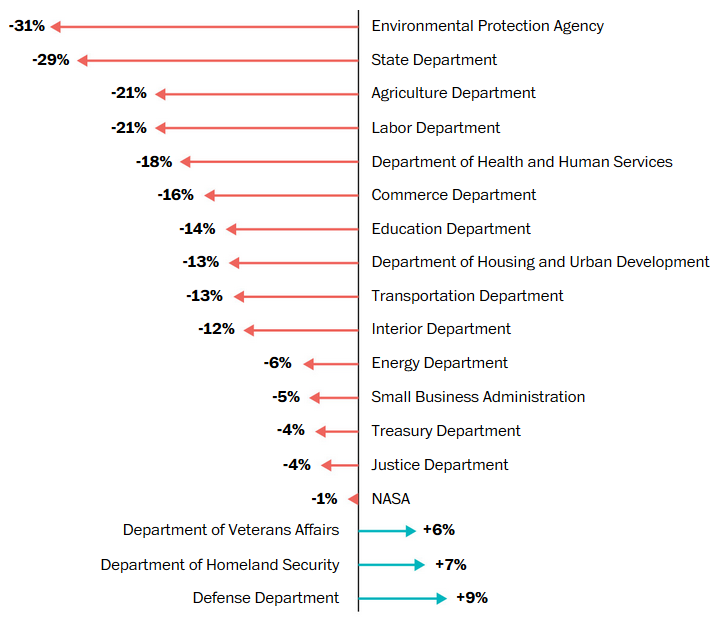 The Environmental Protection Agency (EPA) would be among the hardest hit, with 3,200 fewer positions and a 31% cut in funding. This is no surprise, since deregulation is more important than clean air and drinkable water. Those of us with a conscience don’t have to accept this sadistic budget by Bannon and co., which is designed to outrage and infuriate. Write or call your representatives NOW. There’s a truly horrible 2,398 word screed about dangerous emasculating women at PsychCentral. It’s filled with stereotypes and self-contradictions, and the author freely admits that it’s anecdotal and non-scientific. Why write such a piece? By Samuel López De Victoria, Ph.D.
A woman becomes a she-wolf out of necessity to survive in the relational jungle of life. She feels that there is no other way to make it through life successfully. These women are not born that way and may have once been among the kindest of women. It took one or more major wounds to make her vicious. Anyone who has dealt with a wounded, bitter, and angry woman knows quite well how much harm she can inflict, especially to men. This is a she-wolf. She is a woman who has become a reactionary predator, just like the animal itself. Women who have become she-wolves need to be understood and have compassion towards them, yet that does not mean they stop being dangerous. 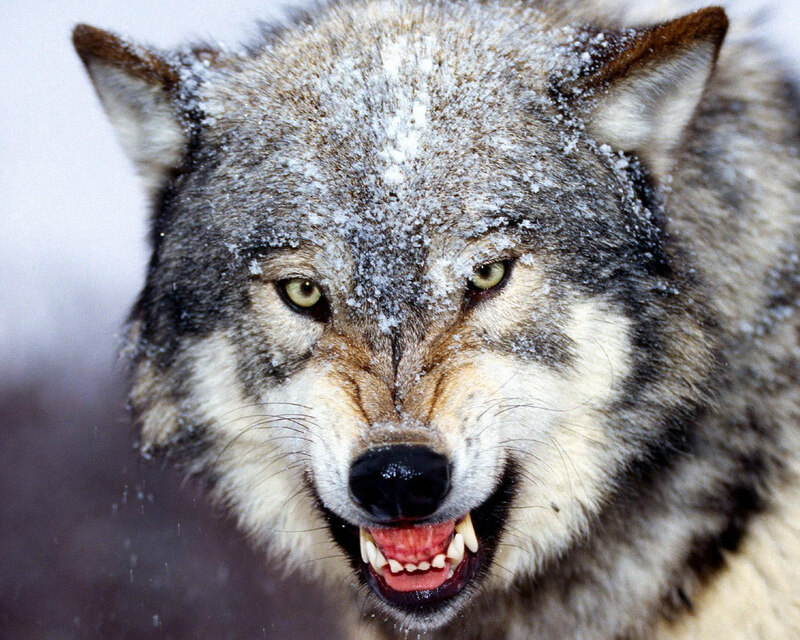 Just like a wolf in the wild, they will destroy their prey and devour them should the opportunity arise. They should be considered from a distance, but not ignored, and with minimal exposure, as you would in the presence of a real animal predator. There are similar abusive predatory men but that would be a topic of another article. I can’t read www.DrSam.tv‘s essay without a number of different songs coming to mind… perhaps he could have one of them autoplay on his website. I have endeavored to uncover, in a non-scientific way, what I consider typical traits of she-wolves. I have based these traits on anecdotal experiences (mine, as a therapist, and other’s) encountering these and watching them from a distance. They can be found in families as a mother, aunt, sister, daughter, and even a grandmother. They can be married, single, divorced, or widowed, heterosexual, or homosexual. They are in the corporate world and in the creative arts. If one is married to one or works for one, there is much pain received and often unnecessary abuse received from them. They typically go after men… but especially after strong confident men. Their attacks on these men come in the form of disrespect, talking down at, mistreatment, downgrading of position, leaving these men feeling castrated socially and emotionally. They tend to attract only weak and soft men whom they can totally control yet disdain. They wonder why they cannot attract men that will courageously protect and defend them. Emasculated men who have them as mothers or are married to them, can easily and secretly hate and resent them. Experienced strong men will see these dangerous “creatures” from afar and will avoid them, seeing them as dangerous. They will conclude that the relationship is simply not worth the trouble. God have mercy if she has a son. She will end up emasculating him. If he is an emotionally sensitive boy, he might learn that her mistreatment is reduced if he simply surrenders his manhood and conforms. If he chooses to save his masculine spirit, he may have to choose to metaphorically “kick her in the face” [NOTE: never physically, eh?] to get away from her and protect himself. She, no doubt, wonders why he spurns her love. Her version of love can be asphyxiating, controlling, enmeshed, and an impediment to becoming a self-assured man. Many strong men can work interdependently with women but it is impossible to do so with a she-wolf since she is highly insecure and cannot share power. I have endeavored to come up with some characteristics that will help identify and understand this kind of troubled woman. Surely some women reading this might be tempted to brand me as a patriarchal and “Machista” male, but they would be misinterpreting my position and possibly overreacting based on their own mistreatment and traumas. In some women’s minds, it is totally impossible to be a strong and confident male and still be a mature, loving, kind, and interdependent mate/lover/friend. They would be blindly projecting their own anger and their own absence of positive experiences instead of understanding this phenomena that proliferates in society and promoted in the media about women. He then goes on to list 17 (seventeen!) characteristics of the She-Wolf. Key words here are wounded, emasculating, angry, and narcissistic. Each of these appears at least five times. What we never explicitly learn is the type of “mortal wound” or “boundary violation” that results in such vicious behavior. I wonder. The She-Wolf goes after and degrades strong confident men… disrespecting them, mistreating them, leaving them feeling castrated. Yet strong confident men can tell these “creatures” are dangerous and will avoid them at all costs. Which is it? I’ll leave you with one last song about She-Wolves, this one very enigmatic. But it makes more sense to me than Dr. Sam’s long-winded post. But her Lady Gaga spoof is pretty funny, in its morally twisted way.